For years, whenever I was tempted to take revenge against someone for an unfair treatment, I had to remind myself that God will judge rightly in the end. The fact that God will judge everyone according to their deeds was a source of great comfort for me. (Not that I was ever seriously persecuted for my faith...) Either you are covered by the blood of Jesus, or you will face God’s wrath yourself. So I was able to leave vengeance to God, knowing He will most perfectly judge. But, while this prevented me from perhaps hating or harming someone, I wonder if this is in fact a Christian response in its fullness. Has not Jesus told us to love our enemies and pray for our persecutors? 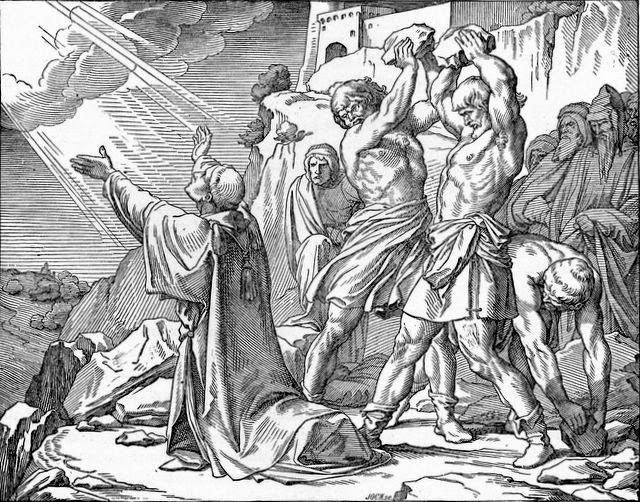 Ware not the last dying words of Stephen an intercessory prayer for the mob who were throwing rocks at him? It seems I have been focusing too narrowly on the part in Romans 12:20 that says, “heap burning coals on his head.” May God grant me grace that I may love my enemies, feed them when they are hungry, give them drinks when they are thirsty, offer up intercessory prayers for them, and forgive those who sin against me.